Technology has been instrumental in shaping the Indian healthcare industry. 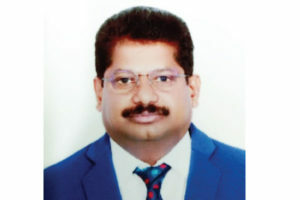 Modern-day advancements and digital initiatives have transformed the healthcare sector, enabling people to avail better patient care, says Selva Kumar Devannam, Managing Director, Trimed Solutions Pvt Ltd, in an interview with Elets News Network (ENN). Q How will you summarise Indian healthcare in terms of opportunity and challenges? Healthcare is becoming one of the largest sectors in India in terms of revenue, budget and employment. The Indian healthcare sector is expected to touch $280 billion by 2020. Rising income-level, greater health awareness, increased precedence of lifestyle diseases and improved access to insurance, are key contributors to growth. The sector is expected to generate 40 million jobs in India by 2030. One lakh jobs are expected to be created from Ayushman Bharat, the National Health Protection Scheme. Q Shed some light on healthcare Initiatives in 2018 Technology has been instrumental in shaping the Indian healthcare industry. Technological advancements and digital initiatives have transformed the healthcare sector enabling people to avail a better patient care. In the present times, people are becoming more aware and cautious of their well-being with information and tools available at their disposal. One of the challenges is how to provide quality, accessible and affordable healthcare services to people at large. The answer is to improve, regulate and systemise the service delivery through adoption of technology and IT infrastructure. The Government is making lots of concerted efforts to provide affordable healthcare facilities to poor population through programmes like free dialysis and diagnostics services, ePHC, teleradiology services, telemedicine and biomedical equipment maintenance services. These programmes are implemented through PPP mode. Various telemedicine projects have been launched under NHM enabling people in remote areas to get connected with expert doctor sitting in any tertiary hospitals in metro cities. Telemedicine has compensated the infrastructural gaps in healthcare delivery. The Government is aiming to develop India as a global healthcare hub. In a bid to encourage medical infrastructure in India, it has approved a budget support of Rs 85,271 crore for three years under the National Health Mission. In order to develop a sustainable model, NHM is supporting States for Biomedical Equipment Maintenance Programme (BMMP). BMMP, one of the biggest medical equipment maintenance programmes globally, takes care of 7,56,750 equipment in 29,115 health facilities across the country, of which 30 percent were found dysfunctional across. Trimed Solutions is part of this giant programme and involved in the BMMP services for over 1,00,000 equipment in six States of the country with business value of about Rs 50 crores a year. It has added an additional business value of about Rs 100 crores for coming years. We take every challenge as an opportunity and develop a business model which supports the healthcare providers to deliver services at par with global standards. Our business is estimated to grow at 100 percent in coming years. Our technical team is having 200 years of combined experience. They are now involved in transforming the knowledge and experience to the young engineers through various training programmes in collaboration with universities like Osmania and CSIR- IICB. We are also maintaining a 24 X 7 call centre in all the States with real time dash board to give critical data information. All in our technical team are enabled with a self-designed mobile application to support the work flow and process. Q Tell us about implementation challenges in medical technology and remedial actions in this area. India has a huge number of unemployed engineering graduates, even though it is hard to find skilled Biomedical Engineers (BME). As per an estimate, there will be a requirement of about 6,000 skilled BMEs in five years. To fill the gap, it is necessary to focus upon skill development of these engineers and make them employable. Being a private player, we are investing huge money to develop the skill for the engineers. We have designed a training course, in association with Osmania and IICBCSIR, which is certified by Health Sector Skill Council. Our aim is to identify critical gaps in medical technology and support the healthcare providing authorities to standardise the system. We have formulated national SPOs for providing biomedical equipment maintenance services in the country with the help of NHSRC (National Health System and Resource Center). In addition, we have also designed a specific training programme for the fresh biomedical engineers which enable them to understand the roles and responsibilities in the healthcare system. Our training programmes bridge the gap between manufacturing, maintenance and service delivery. Q Brief us about healthcare technologies and trends which will play a key role in augmenting healthcare delivery system in coming years. There is no limit for technological innovations as they play a pivotal role to meet rising demands of humans. In the next decades, one can expect that research will be in focus in the area of medical devices for restoring the functions of tissue through sophisticated implantable electronic devices. In future, there maybe patients with more than one implantable electronic device and these devices will learn to communicate and adjust their performance to meet the requirement of the tissue functions. Technology has enabled people to optimise their health and lifestyle through wearable devices such as smartwatches, activity trackers, fit bits, etc. Such devices which can monitor body vitals are helping people set goals, track and accomplish them. Today, people have become increasingly health conscious due to unprecedented increase in lifestyle diseases. Stress and mental health concerns have furthered encouraged consumers to be more connected with their overall health. There has been a spike in the sales of body ideal measurement devices in recent times. Tools that allow people to measure their blood-pressure, oxygen level, diabetes or blood sugar levels at home are becoming more common. One-touch tests and other home-based health-monitoring devices have given people the choice to keep a track of these body ideals on a daily or weekly basis. It further enables people to share these body vitals with doctors and receive real-time feedback through online platforms. Technology is replacing the human effort of keeping track of health. The next area may be functional tissue engineering where tissue will be grown from biological material (stem cells). It will be placed into the body into the right position to restore the function of the newly implanted tissue. Of course, there is still a lot to be learned on how to produce biological materials which have properties close to, or the same as human living tissue and can withstand the same forces and strain. There are two major fields of intensive research which will improve the current results, neural interfaces and neuroscience. The need for neural interfaces fosters development of new biocompatible materials for neural prosthesis, especially among the nanomaterials and nanotechnology.